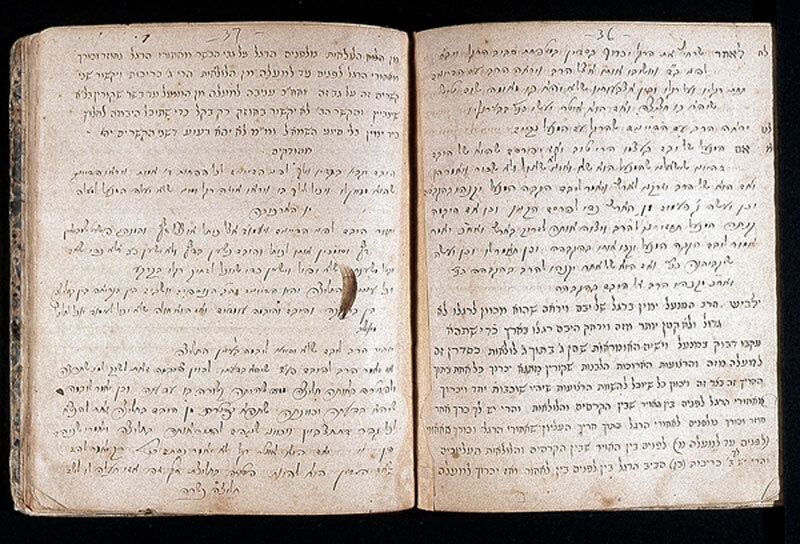 In this small book Rabbi Hirsch Levine recorded the English and Hebrew names of 26 members of a congregation later charted as Berith Shalome, and listed the amounts, ranging from 12 cents to $1.50, that each man donated at the reading of the Torah. 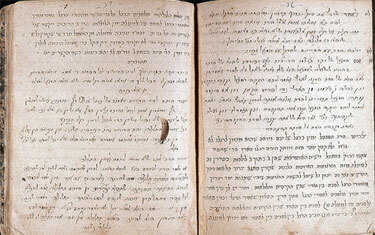 Earlier passages in the book, probably written before Rabbi Levine arrived in South Carolina, include notes for sermons and eulogies; instructions for a shohet on how to slaughter animals in the kosher manner; blessings for those called to the Torah; and procedures for delivering a bill of divorce. The pages illustrated here explain how to perform a halizah, which excuses a childless widow from the obligation of marrying her husband’s brother.